Why do English teachers even bother to tell us to avoid cliches? They happen anyway. Everywhere. Horrible cliches are a dime a dozen. #7 is a constant battle for me. I’d like to think I’m still new and young, but let’s not fool ourselves too much. After all, self-deception is on the list of things I shouldn’t do this year. Although I can’t help but occasionally entertain thoughts of ruling the world and having a swear jar for cliches. I’d be rich, which would be a lot easier than the other ways English majors can go from rags to riches. Accompanying the “New Year, New You!” cliche is all those silly resolutions you’re supposed to make. And they’re always the same. Lose weight! Be a better person! Attain Nirvana! 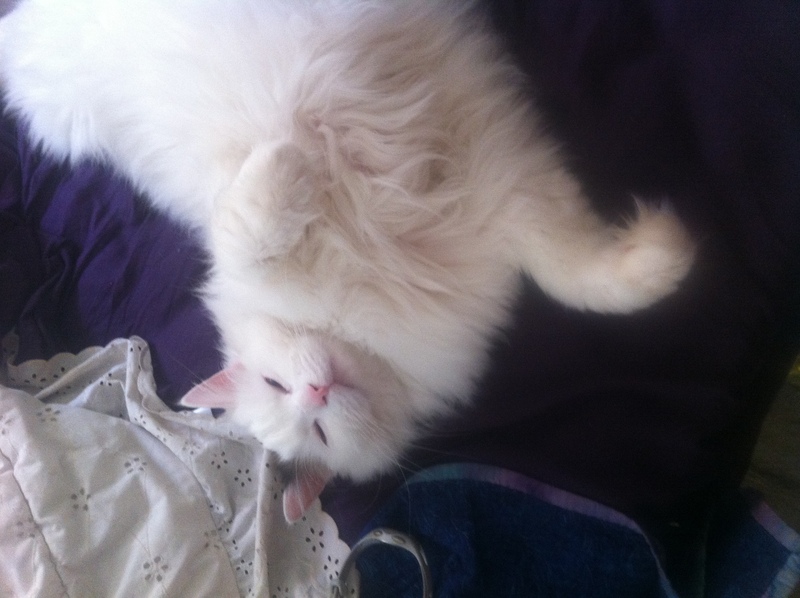 But there’s more than one way to skin a cat, so several articles are always written about these same few resolutions. 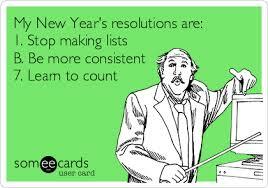 But a lot of these resolutions seem so shallow. So what if I lose weight? Now what? I’m skinny. And now I have to maintain a diet of salads to keep this body? What am I able to do with my skinny body besides stand there and look pretty? Why did I want to be skinny in the first place? Because all of the glossy girls in the glossy magazines act like it’s so great? Instead of focusing on a checklist of things we’re supposed to do or not do this year, we should think more about the key items we want this year. What dreams do we want to attain? And why? To succeed, your goals need specific desired results. And your resolutions need tangible steps you can measure and do to get these results. But mostly importantly, it has to be because these steps get you to what YOU want. So for example, you could want to lose weight. But just writing down “Lose weight” doesn’t mean anything. Writing down “I will work out for an hour 3x a week to lose 10 pounds by spring because I want to fit into my jeans from college” is waaayyy more motivating. But maybe losing a specific amount shouldn’t be your focus. 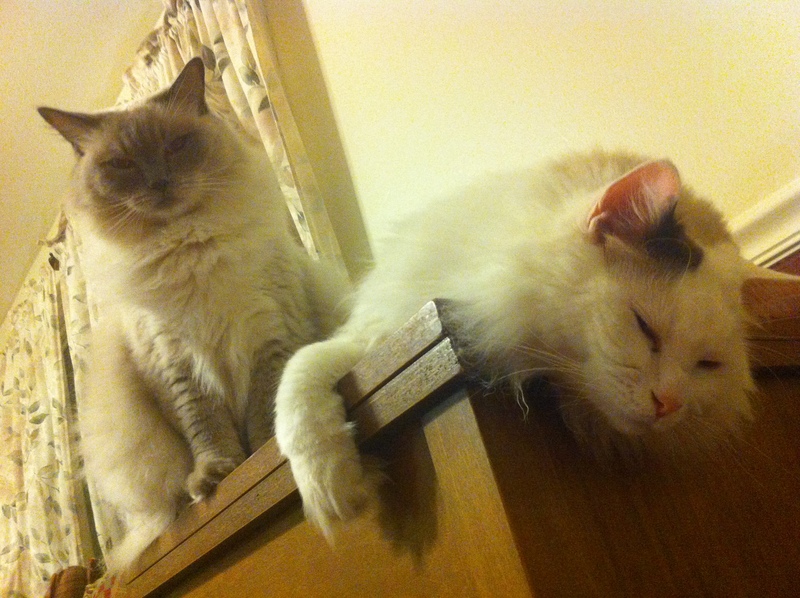 Daisy: I thought you were going to be more productive this year. Say after adding this to your plan, implementing it for a few months, the scale still reads the same. But do you feel happier? Can you now workout without dreading it? Does it feels easier? Then perhaps you’ve attained your true goal. Maybe your end goal is to be a healthier person or feel better about yourself. So I signed up with a personal trainer and learned various ways of working out since I couldn’t run. Suddenly going to the gym for a couple of hours was a great way to put off that dreaded Shakespeare paper. I came out of college in the best shape of my life. I weighed about 8lbs more than I did in high school, but I had muscle definition and was able to run half marathons with much better times than back in the day. So when making resolutions and trying to decide how to measure that you’ve accomplished them, you can’t always measure yourself in the same ways you used to. Age, your lifestyle changes, new jobs – they can all affect how you will attain your goals. 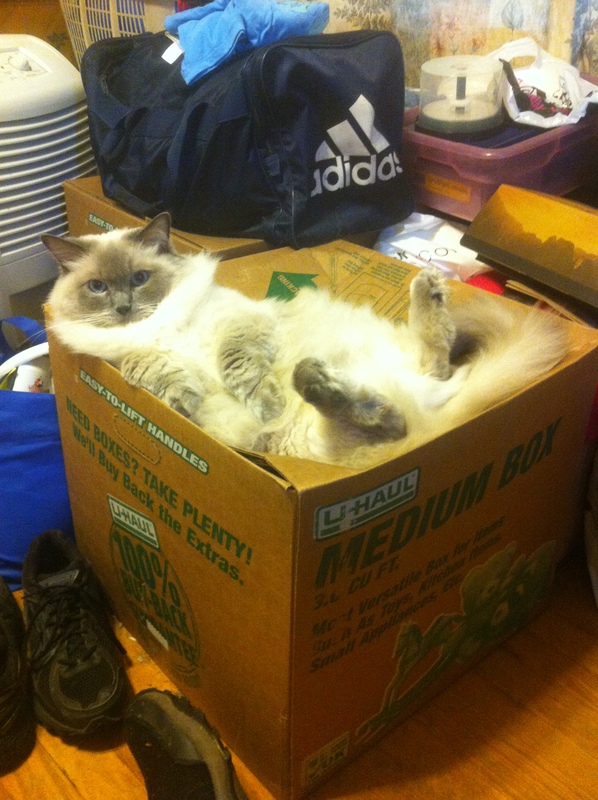 I was trying to think outside the box…then I got stuck in it. So keep the bigger picture in mind too. It would be nice to go down a size in my jeans now, but if I can still run years down the road because I keep my thunder thigh muscles strong, well, that’s more worth it to me. Running is my passion. I think a lot of these typical resolutions aren’t inherently bad, but the way they’re presented in the media and the motivations behind them are. Think of the dreams you have and focus on why you want to make them happen. When your resolutions are your own, there’s nothing cliche about that. Today is NOT the first day of the rest of your life. It’s just a newer version. Like when iTunes asks you if you’d like to upgrade (NO!!!!). It’s still inherently the same program, but a supposedly a better, easier to use version (then why does it take me two days every time to figure our where my playlists are!?). So this year, I have list of what’s new for Jenny v.2014.01.01. This is me in Cross-Fit. 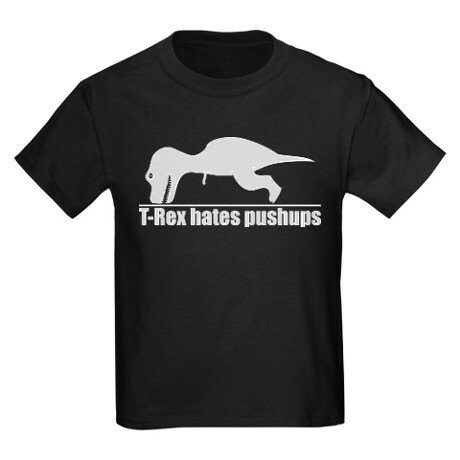 T-Rex, however, LOVES squats. Of course, this program will never be perfect. And as I go I might find certain additions cause other parts of the program to not work as well. For example, my love affair with Mountain Dew and beer might not be compatible with my goal of eating healthy, but if I modify it to just having a few on the weekends, that would still keep the program on track. I owe it to myself to put my best foot forward and go for the gold. I also owe my cliche swear jar roughly $14. P.S. Please do NOT go back and count through this entry all the cliches. I already did that for you. And if I’m off by 2 or 3 or 10, well, I’m only human. And by human, I mean English major.